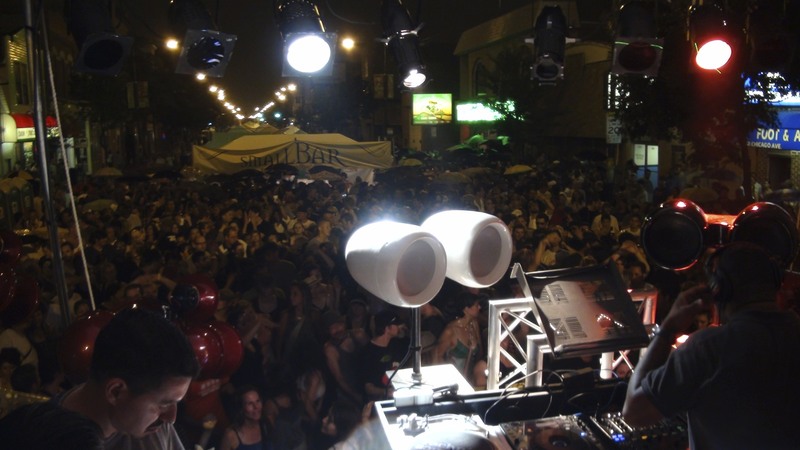 Ah, summer in Chicago and what a better way to spend the weekend than at a funky street festival. One of the best is West Fest – an intimate setting where last weekend the DJs gave the crowd good reason to dance. The highlight was a throbbing house set by Derrick Carter; who rocked the rainsoaked crowd with authority. The Void Airmotion system was the perfect complement for the music and the crowd loved every minute.